7 April 1969 Vickers Viscount registration CF-THK was damaged beyond economic repair by a fire which occurred on takeoff from Sept-Îles Airport. The aircraft landed back at Sept-Îles, but one passenger was killed in the fire. 2 June 1983 797 McDonnell Douglas DC-9-32 C-FTLU had an electrical fire in the aft lavatory during flight, resulting in an emergency landing at Cincinnati/Northern Kentucky International Airport. During the emergency evacuation, the sudden influx of oxygen caused a flash fire throughout the cabin, resulting in the deaths of 23 of the 41 passengers, including Canadian folk singer Stan Rogers. All five crew members survived. The captain was the last person to exit the aircraft. This incident was also featured as "Fire Flight" of Canadian television series Mayday season 4 episode 3 (known as "Fiery Landing" of Air Emergency in the US, Air Crash Investigation in the UK and Australia). This is Air Canada's most recent fatal accident. ^ "Air Canada Travel News and Updates". www.aircanada.com. Retrieved 15 June 2017. ^ "FAQs." Air Canada. Retrieved on 4 December 2010. "Our headquarters are located at 7373 Boulevard Côte-Vertu Ouest, Dorval, Quebec." 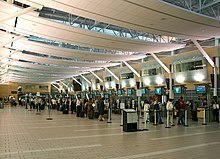 ^ "ottawacitizen.com - Senators look for a new ride to road games as Air Canada exits charter business". Archived from the original on 17 June 2014. ^ "Air Canada signs definitive deal to buy Aeroplan program for $450 million". CTVNews. 26 November 2018. Retrieved 26 November 2018. ^ "Air Canada Completes Acquisition of Aeroplan Loyalty Business". 14 January 2019. Retrieved 18 January 2018. 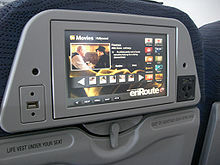 ^ "Profile on Air Canada". CAPA. Centre for Aviation. Archived from the original on 30 October 2016. Retrieved 30 October 2016.